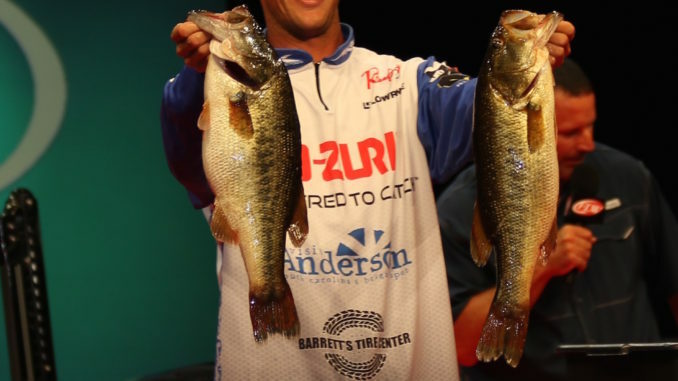 Brandon Cobb is one of the six Carolina anglers who will compete in the 2018 FLW Forrest Wood Cup at Lake Ouachita in August. Six anglers from the Carolinas have qualified to fish in the 2018 FLW Forrest Wood Cup Aug. 10 – 12 on Lake Ouachita in Hot Springs, Ark. They will compete against 50 other anglers for the first-place prized of $300,000. Anglers from North Carolina include Bryan Thrift of Shelby, Matt Arey, also of Shelby, Shane LeHew of Catawba, and David Williams of Maiden. 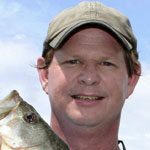 South Carolina’s anglers are Brandon Cobb of Greenwood and Bradford Beavers of Ridgeville. Thrift qualified by winning the 2017 FLW Tour Angler of the Year Award. Arey, LeHew, and Williams all qualified through the points standings accumulated on the 2018 FLW Tour. Cobb qualified through the points standings as well, and Beavers made the cut as a 2017 Costa FLW Series Championship Qualifier. A total of 56 anglers will be competing in the championship of the FLW Tour, including the 2017 FLW Tour Angler of the Year, the 2017 Forrest Wood Cup champion, the top 40 anglers in the 2018 FLW Tour Angler of the Year standings, the T-H Marine FLW Bass Fishing League All-American champion, the 2018 YETI FLW College Fishing National Championship winner, 2018’s The Bass Federation National Championship winner, and qualifiers from the 2017 Costa FLW Series Championship, including the champion of the FLW Series International Division.